Have You Ever Had it Blue? : A Review of The Blue Book… | Scots Whay Hae! A new A.L Kennedy novel is always cause for celebration, and her latest The Blue Book is worthy of a raised glass or two. It again proves that there are few writers who can match her playfully perverse way with plot and prose, employing a literary slight of hand that takes readers to unexpected places. This is never more obvious than with The Blue Book. Before you even read page one you are made aware that there is something intriguing in store. The hardback is a beautiful blue with gold lettering and the picture of an upturned palm. It is reminiscent of a religious or cultural text (think King James, Mao or Qadaffi), or an old book of spells, which suggests that the reader is in for some sort of instruction. The novel is a love story, but what unfolds is a tale which is an unconventional exegesis on human nature and which attempts to answer 1980’s electro-pop pixie Howard Jones’ question; ‘what is love anyway?’. The troubled lovers are Elizabeth (also known as Beth), and Arthur whose relationship is played out in a mixture of flashbacks and the present day. This has the effect of throwing the reader off track as the nature of their strong bond has to be deciphered and then understood. Few writers play with their readership as Kennedy does and it is typical that she would set her story in the shadowy world of psychics (which explains an acknowledgment to Derren Brown). Arthur teaches Beth how to ‘read’ people and they go on to work together exploiting this ability using various codes and ‘tells’, particularly preying on those who are at their most vulnerable. The problem is that once this particular Pandora’s Box has been opened there is no way back, and they use their knowledge to look for the same signifiers in themselves which, in a karmic twist, ruins any chance they have of ever trusting each other, or anyone. By living lives which thrive by dealing in other people’s misery they appear to have destroyed any chance not only of having a happy life together, but also apart. Can’t live with, can’t live without. There are other strong supporting characters, particularly Derek, Beth’s hapless and cuckolded boyfriend, and the friendly couple Francis and Bunny, but this is a tale of Arthur and Beth, and through them Kennedy tackles notions of romantic ideals. Is love anything more than the manipulation, deliberate or otherwise, of individuals needs and desires? Are we decieved by others or simply deceiving ourselves? As usual Kennedy manages to walk a fine line between scepticism and hope, an act which is difficult to pull off without appearing non committal, especially when dealing with something as abstract as love, but by giving no easy answers she ultimately lets the reader decide for themselves . 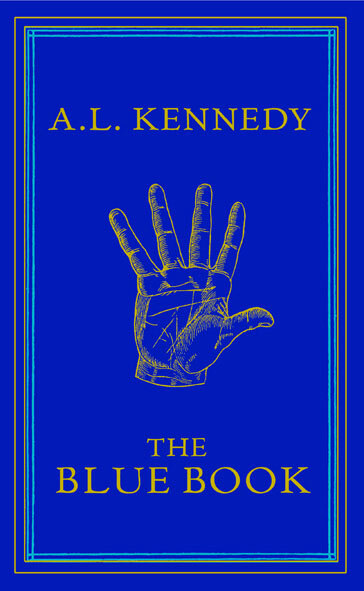 Kennedy uses her own tricks and illusions in the novel. The numerical codes which Arthur teaches Beth are replicated in some of the page numbers which at times appear randomly out of sync (although I’m sure there is nothing random in any of Kennedy’s fiction). You can’t escape the feeling that she is manipulating her readers as Arthur and Beth do their audiences. While there is certainly no delusion that what the two undertake is deception on a despicable scale, using the hurt and hope of the most vulnerable to make their living, there is a brief nod to the idea that perhaps they are providing a service which gives some people closure after personal loss. However, this is only referenced when Arthur inparticular seeks to justify his life and relieve the guilt. As the novel reaches a conclusion (of sorts) perspective and sympathies are pulled all over the place and point of view and storytelling themselves are explored. Kennedy is not content simply to tell a story but to make us question just how it is told. The Blue Book sees Kennedy put together a run of three novels, the others being Paradise and Day, which are remarkable in their quality and scope. It may be a bold claim but I love reading her more than almost any other living writer, with the only downside being that she does make me want to abandon all thoughts of writing myself in bouts of post novel inadequacy (this has happened after all of the aforementioned novels). But then I realise that the world doesn’t need another A.L Kennedy, we should just praise the heavens that we have the one we do.